South China Sea tensions will rise in the long-term as China exhausts its near-shore fisheries and continues to push outward to secure further stocks. 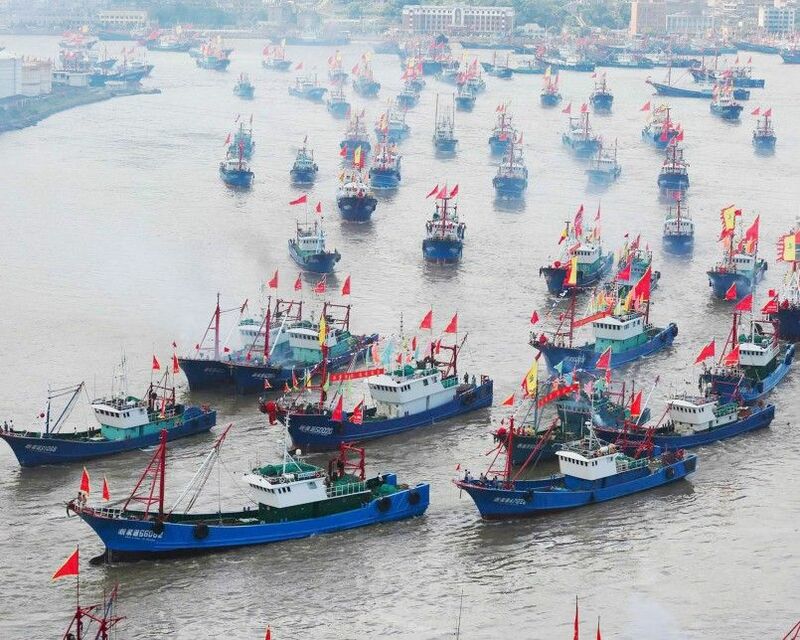 Overfishing in Chinese rivers and seas has seriously depleted stocks and the government is to cut the size of the nation’s fishing fleet, the agricultural ministry said. Credit Great British Politics . . .
• Human activities have fueled the decline of all native stocks. • Half of China’s coastal wetlands have been destroyed. • 57 percent of mangroves have been destroyed. • 80 percent of coral reefs, all critical fish spawning, nursing, and feeding grounds have been destroyed. • Marine ecosystems, most notably in the Bohai Sea, have been degraded to the point of becoming dead zones. • 1.4 billion Chinese people consumed more seafood in 2013 than the next nine countries combined. • One-fifth of the global catch volume goes to satiating China’s demand for wild-caught fish. Seafood consumption per capita in China has recently surpassed pork, according to China’s Ministry of Agriculture, and that has repercussions for ocean ecosystems in the country and beyond. Several factors are responsible for shifting Chinese diets in a different direction. Incomes have risen, for instance, so people can afford seafood, which is typically pricier than other meats, says Yvonne Sadovy, a professor of biological sciences at the University of Hong Kong. Its priciness also makes it a status symbol, she says, and it regularly shows up on the menu at banquets and weddings. Also, public health campaigns are encouraging Chinese people to choose lower fat proteins. Plus, food production scandals have led people to view wild foods as healthier, she adds. NOTE: The book, The Empty Ocean by Richard Ellis predicted all this happening back in 2003. Also, Collapse, by Jared Diamond in 2005.